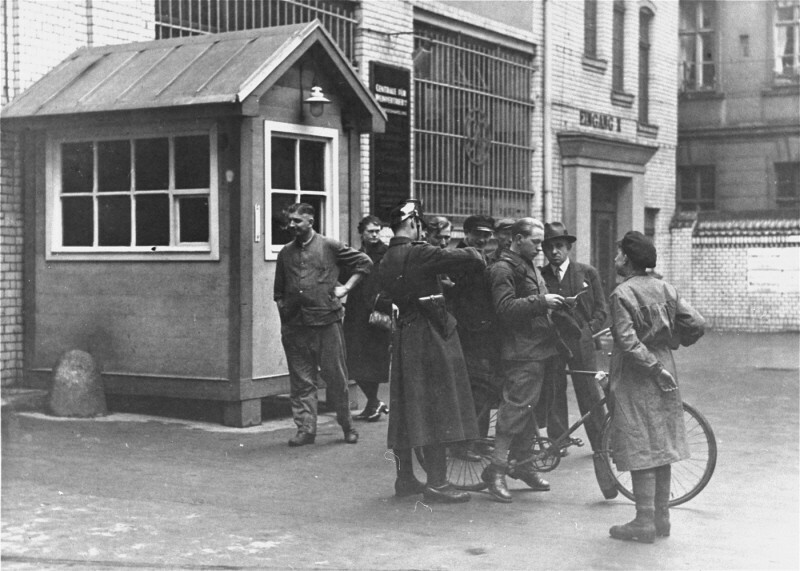 Police search a messenger at the entrance to the building where Vorwaerts, a Social-Democratic Party newspaper, was published. The building was subsequently occupied during the suppression of the political left wing in Germany that was carried out in response to the Reichstag Fire. Berlin, Germany, March 3–4, 1933.